Can you create excellence through teamwork in a consultancy environment? The best way to see if something works is to try it. So that´s what I did last year, with help of my colleagues: a pilot within the team that I was a part of at the time. Could we increase the quality of our individual assignments by applying the concepts of Cooperational Excellence? Read my in-depth case study in the White Papers section. 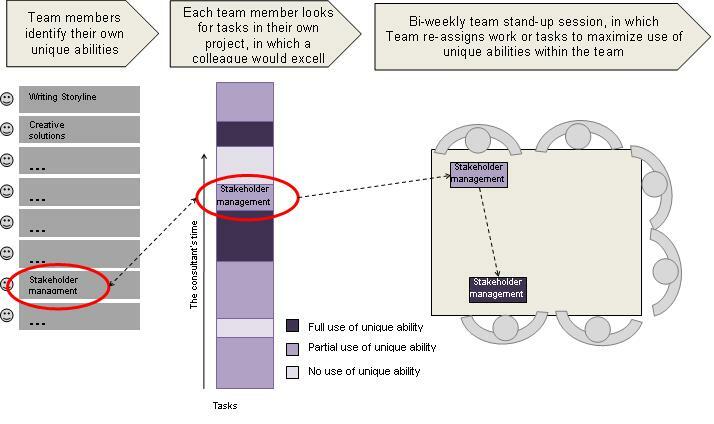 This entry was posted in Teamwork & cooperative models and tagged operational excellence, Teams, Teamwork on June 7, 2012 by M.R. van Dijk.